Take up offers of help – meals, help with other children, washing clothes, feeding and changing the baby. If you trust them let them help and take a break! Don’t try and be superhuman – some jobs can wait – nobody got a gold medal for dusting and hovering! Pay attention to what you eat – it matters – if you can’t face cooking or eating a big meal then snack on as much fresh food as you can: nuts, cheese, yoghurt, fruit, salad nibbles and tinned fish. The odd take away or ready meal won’t hurt, just don’t rely on them on a daily basis! 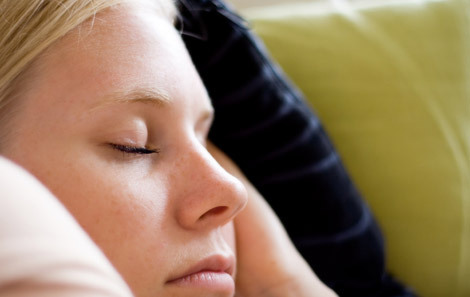 Get as much sleep as you can, if you find it difficult to snooze in the daytime, just some downtime lying on the bed reading or in the bath relaxing will help restore you. Got a computer? – shop online for your groceries and get them delivered – try to put your feet up! Talk and talk some more if you’re feeling down, especially if the feeling has lasted for more than a few days and is getting worse – if someone appears not to want to listen, find someone else – maybe they are having a bad day themselves and can’t help you today. Don’t give up if you need to get help. Try and get out, and get moving – if you can do some exercise great – not got a lot of time? Have a walk down to the shops, to the park, just down the road. It stimulates the feel good hormones – so get moving! Relaxation and meditation – its hard to relax when you’re stressed and tired or feeling depressed. Its also very important that you do! A number of websites offer free downloads to help you do this, the Mental Health Foundation has a variety of podcasts free to download from their help and information pages: http://www.mentalhealth.org.uk/help-information/ Other websites also have free relaxation and meditation downloads, see our links pages. Its not just about looking after yourself, when you become ill or depressed you need consider what you can do to help yourself get well again. It may be hard to believe that you can get better, or that you will ever feel happy again. Some mums (and dads!) find it hard to bond with their baby and feel so guilty that they are unable to talk about it, and that’s understandable. However, you need to know you aren’t the only one that has felt this way and you will eventually come to know and love your baby – it isn’t always the instant process we are all lead to believe it is. For some people, love for their child develops slowly and over time, you are no less a parent for it – but talking to someone who understands will help you cope with your feelings. Click here for suggestions who to talk to. Its important to believe and know that you will get better – be patient with yourself! Talking is important and talking to someone who can help is best. Try not to be alone all day, every day. Adult conversation and company is important. Make the effort to go to mums groups, even tiny babies love the company of other children; and you need a change of scene. Its good for them and you. If you have a partner, make time to talk to him and to LISTEN to him, be a partnership. If you have other children try and have some time just for them, read a book with them or plan an activity that is all about their interests without the baby if you can. Your feelings are temporary and you can and will recover – don’t blame yourself or your partner (or the baby) for feeling this way. It’s your hormones and they will settle down, sometimes on their own – sometimes with a little help. If you can try to avoid any major decisions or changes to your life such as moving house, changing jobs etc. A baby is a major life change as it is. Finally you need to remember that these suggestions are just that, suggestions and tips to help you cope with and recover from, postnatal depression. 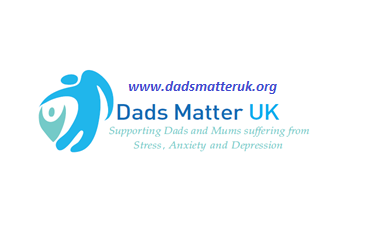 They are drawn from other people’s personal experiences of what worked for them, current best practice in the field of postnatal depression and are intended to support help, and guide you and your family towards getting the right help for you. Please use our information to help you get the help you need, severe postnatal depression needs to be managed with the help of a Health Professional.